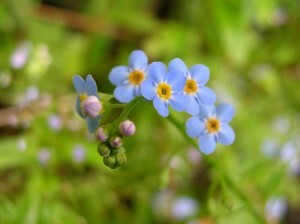 This May, think of the Alaska state flower, the forget-me-not, and make sure not to forget Mother’s Day. While a trip to the day spa and flowers are nice, give mom what she really wants this year: quality time with her family during a once in a lifetime trip to Alaska! From some of the world’s most spectacular views to delicious Alaska cuisine, a trip to Alaska’s stunning Kenai Peninsula will give mom a Mother’s Day gift she will never forget. Surrounded by Chugach National Forest and alongside the majestic Kenai River, the Kenai Princess Wilderness Lodge is the ideal location for both relaxation and a number of Alaska activities. Each room comes complete with vaulted ceilings, wood-burning stoves and private porches. Take a short walk from your private bungalow to Eagle’s Crest Restaurant where the magnificent scenery, stone fireplace and savory Alaska cuisine make dining a world-class event. 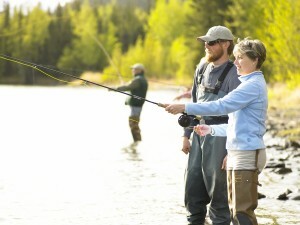 Just minutes away from the lodge, you’ll find world-famous fishing, float trips, river rafting and hiking, hence locals having nicknamed the Peninsula “Alaska’s Playground.” At the Kenai Princess you’ll find something for everyone! Depart from Kenai in the morning and head to Homer to spend the entire day touring local art galleries and shopping on the Homer Spit. Lined by shops, restaurants and the landmark Salty Dog Saloon, the Spit is a long finger of land that juts about four miles into Kachemak Bay. Only a bit more than two hours’ drive from the Kenai Princess Wilderness Lodge, Homer dubs itself the Halibut Fishing Capital of the World; but it also boasts amazing scenery, tasty restaurants, a thriving art community and even a winery that offers tastings, making for a perfect day trip! Before departing from the Kenai Peninsula, make sure you explore the historic town of Seward. Named after U.S. Secretary of State William H. Seward who negotiated the purchase of Alaska from Russia in 1867, Seward is a coastal town that sits alongside spectacular Resurrection Bay. While in Seward, make sure you visit the Alaska SeaLife Center, Alaska’s only public aquarium. Or, if you would like to see Alaska marine life in their natural habitat, treat the family to a day cruise around the open water on the narrated Kenai Fjords National Park Cruise. Make sure to bring your best camera and binoculars, and prepare to see glaciers calving as well as wildlife like humpback whales, orcas, seabirds, sea lions and otters. When you were growing up was there ever discussion at your house about who was the favorite sibling? After you gift your mother with an unforgettable journey north to Alaska, you are sure to secure Mom’s top spot this Mother’s Day! 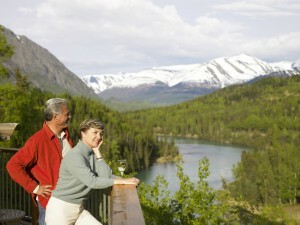 The Kenai Princess Wilderness Lodge opens for the summer season on May 23, 2013.